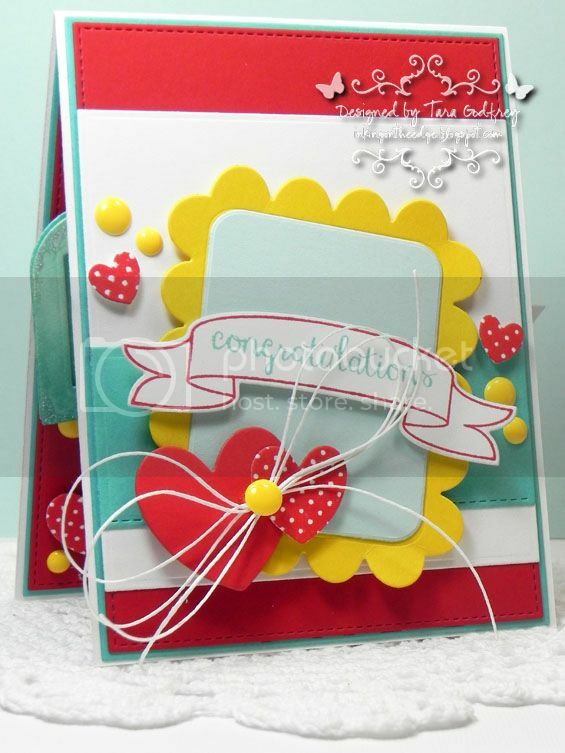 Inking on the Edge: Reverse Confetti...DS # 156 & RC June Colour Challenge...Sweet Together! 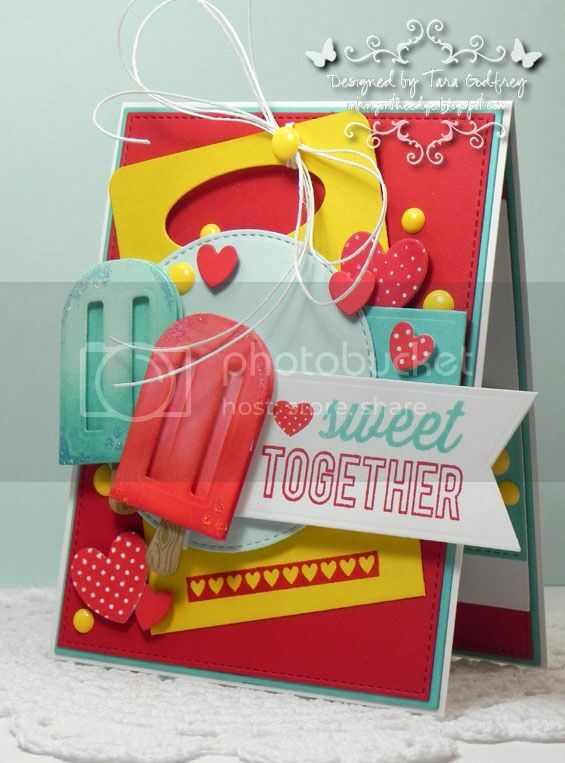 Reverse Confetti...DS # 156 & RC June Colour Challenge...Sweet Together! Hey stampin' friends! Today is officially the first day of summer...YAY! Hope you're all enjoying the day! 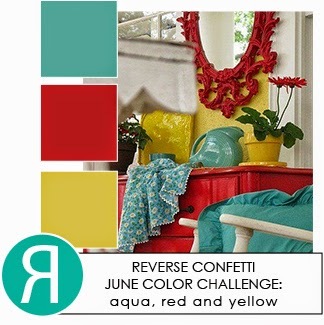 I decided to get crafty and join the RC June Color Challenge...this colour combo is SO pretty and I think it just screams summer! 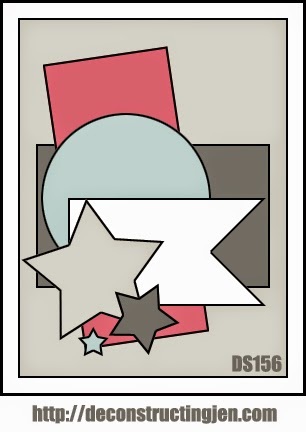 I went looking for a sketch to follow...this DS156 sketch was perfect for what I had in mind! 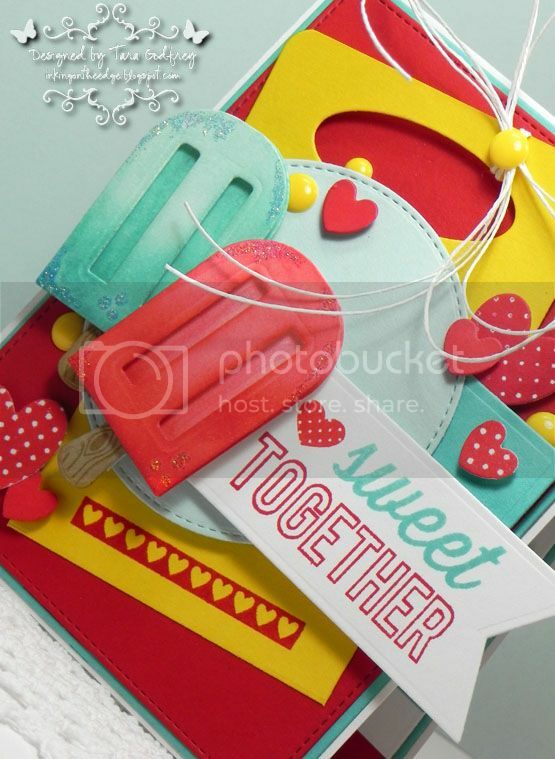 I made my card with MFT Replenishments Heavyweight Card Stock in Sweet Tooth, Blu Raspberry, Wild Cherry, Lemon Drop and Sno Con. I used lots of Reverse Confetti stamps and Confetti Cuts on this card...mixin' & matchin' from my RC stash...love doing that! 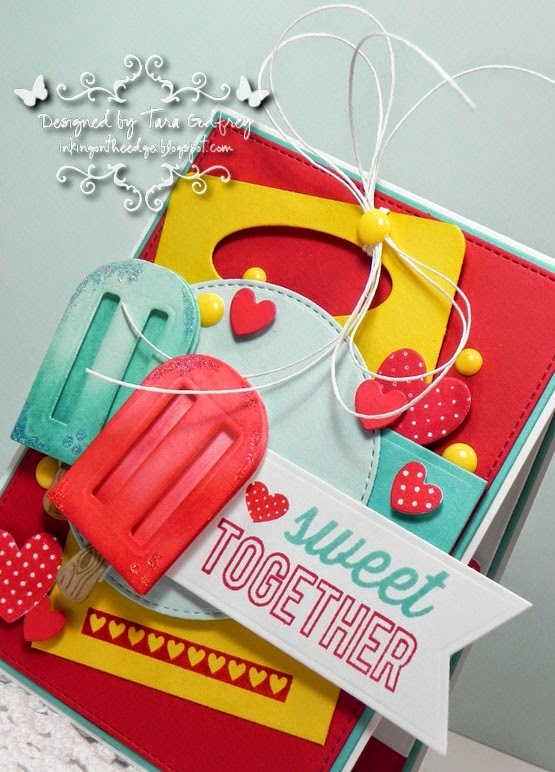 The Sentiments are from the Sweet Thing and Go Together Stamp sets. I also cut the Sweet Treat Tent and stamped the row of hearts from the Go Together Stamp set. I was inspired by the little polka dot heart from the Arrows 'n Elements stamp set so I cut several hearts from the Love Note Confetti Cuts and stamped them with Red Hot Premium Dye ink with the Apple stamp from the Class Act Stamp set. The apple stamp is big enough to totally cover the medium sized heart. I LOVE, LOVE, LOVE the NEW Reverse Confetti Let's Chill Stamp Set and coordinating Let's Chill Confetti Cuts...just SO cute!!! I noticed how several RC Confetti Crew designers sponged the little Popsicle to achieve a pretty ombre look. I decided to try this and cut the Let's Chill Confetti Cuts from MFT Smooth White Card Stock and inked with Red Hot, Electric Red, Sno Cone and Blu Raspberry Premium Dye Ink and added a little sparkly "frost" with some Stickles. I finished off the inside of the card too...I stamped a sentiment from the RC Beautiful Banners Stamp Set cut out with the Beautiful Banners Confetti Cuts, layered over the Love Note and Class Act Confetti Cuts. I sprinkled a few more hearts cut from with the Love Note Confetti Cuts. To embellish I added some white AC hemp cord and yellow YNS Gumdrops. Thanks SO much for popping by and havin' a little peek at my card for the Reverse Confetti June Colour Challenge and for the Deconstructed Sketch # 156! Tara!!! Loove this sooooo much. Those Popsicles are fantastic. Fabulous use of color. OMGosh! This is adorable and of course the inside is just as cute as the outside! I've missed your beautiful blog posts. Hope you're having a great summer! Wow! Fabulous use of the challenge colors as well as the sketch. The inside is just as pretty as the outside too. This is just gorgeous! Your coloring on the popsicles is just wonderful and the whole thing is just so sweet! I love every bit of it!